By 2050, more than 50 percent of the US population will have skin of color, according to the Skin of Color Society (SOCS), which means that dermatologists will be seeing more cases of acne and rosacea in these patients. 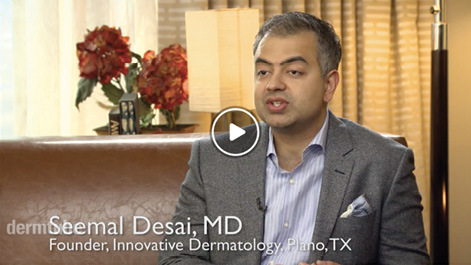 SOCS President Seemal R. Desai, MD, founder of Innovative Dermatology in Plano, TX, shares pearls on how to best identify and treat these conditions in darker-skinned patients. 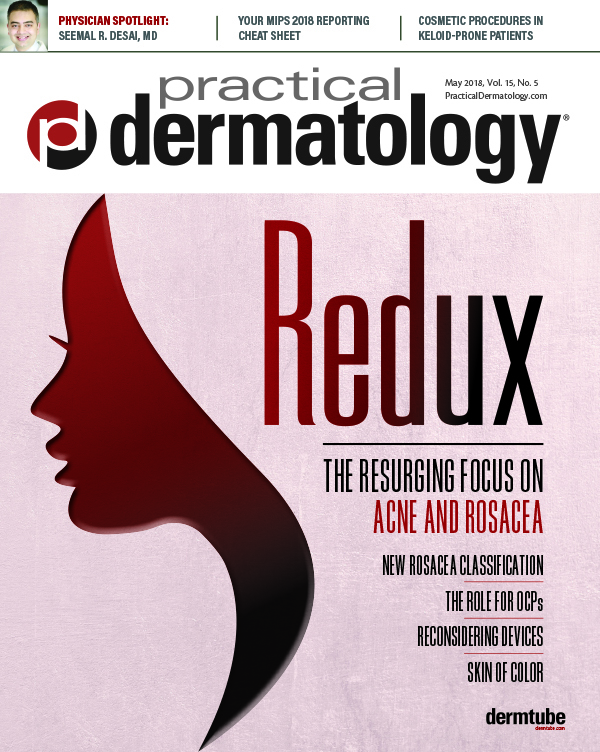 Are acne and rosacea common in patients with skin of color? Is it difficult to diagnose rosacea in darker skin? Dr. Desai: These conditions are very common in skin of color patients—especially acne. Rosacea is a little bit harder to pick up on, because redness is difficult to see in skin of color, but you actually can see a brownish-purple hue in the background. You will see blood vessels on the corner of the nose in the perinasal area. Rosacea in skin of color is the same disease as it is in any skin type, but you have to know what questions to ask. If you ask questions about flushing, stinging, and dietary changes, it can be easier to make the diagnosis. The symptoms are the same, but the presentation may differ. Rosacea can mimic acne in some cases. Some skin of color patients come in thinking that they have acne, but they actually have papulo-pustular rosacea. How do you treat acne and PIH in skin of color? Dr. Desai: The biggest concern with treating acne in skin of color patients is the risk of post-inflammatory hyperpigmentation (PIH). Before I address PIH, which can occur with active acne, I will get the acne under control for at least a month. It may take 12 weeks for topicals to be fully effective. Once the acne is under control, it is more reasonable to treat PIH. Hydroquinone (HCQ) is still the gold standard for skin lightening, but you have to use it in a very controlled way. I use it for eight weeks and then taper off before I introduce a second-line topical, such as azeliac acid. This is an off-label use of azeliac acid, so it can be hard to get insurance to cover the costs. I may have to compound the azeliac acid in these instances. Daily use of cosmeceuticals with vitamin C, E, and other antioxidants is also part of a comprehensive approach to treating and preventing PIH in skin of color. Sunscreens are also important. I like physical blockers because I have a lot of patients with skin sensitivity and allergies to sunscreen. If you have a patient who develops allergic contact dermatitis from sunscreen, they can then develop PIH from the sunscreen. Salicylic acid and lactic acid chemical peels work really well for acne in skin of color. I just don’t recommend them when patients are on an HCQ/retinoid combination unless they stop a week before the peel. I suggest five to six peels every two to three weeks for maximum effects. How do you treat rosacea in skin of color?